Most skeptics are skeptics because they don’t know how the image was made but see no reason to believe that it was necessarily made, by some process as yet unknown, in the first century AD. We are sceptical of those who claim they they DO known exactly how the image got onto the cloth. I do wonder why so many people have difficulty in understanding the everyday meaning of the word ‘sceptic’. Thank you for your courtesy in replying. Whether, you intend to or not, you certainly lend support to my basic proposition: that there is no known image dating from no later than 1500 CE that exhibits the essential characteristics of the image of the Shroud of Turin. Given your expertise with relics, that is an important fact. I think if there were such an image, you would be aware of it. If I am wrong about that and there is such an image, you can still identify it for us. Then we can determine whetherr the image you identify fits the characteristics of the shroud image. Hanks,John. I have no problems in accepting that there is something unique about the Shroud. My researches show that we have lots of documented, but now vanished, single images of Christ on cloth used in church ceremonies or to cover altars during Lent but no record of a similar double image. I will go on looking! With that reference to the ‘double image’ I think you have identified the crux of the matter here, Charles, namely the uniqueness of the image, but that’s not all. The human eye is very good at looking at images and reading into the detail so as to draw conclusions, sound or otherwise, as to the implied antecedents. If one showed a person an image of a sandwich with a semi-circular area missing from the edge, one would reasonably conclude that a bite had been taken out, even though other explanations are theoretically possible. The first pilgrims to view the TS at Lirey did something similar , and while no doubt guided in what to see, they could have figured it out for themselves – a length of linen, a double image with just a small gap between the two heads, the naked man. They were able to deduce a provenance, namely that the linen was a burial shroud that had somehow captured an image, and a peculiar one at that, perhaps better described as an imprint, possibly in sweat as per crowd-pulling Veil of Veronica, even if the concept of negative v positive images was unlikely to have been around in the mid 14th century. It’s because the imprint tells its own story (whether contrived or not) that we have (I consider) an explanation for a second facet of the TS enigma, namely that the Lirey Shroud went onto to become the fabled Turin Shroud without there being a single written word as to its history prior to 1357 – not even for the period when it was presumably in the possession of Geoffroi de Charny and/or his wife, later widow. How many people today would attend an exhibition of a “newly unearthed” item of historical significance, if there weren’t a single word of corroborating evidence? As for the question posed in the blog: all it’s doing, or should be doing, is reminding us of the dual enigma that is the TS. Sure, it’s a peculiar image – a one-off one might say. But the extraordinary secrecy that surrounded the TS in its early days is why it’s somewhat pointless to ask why there’s only one. That was the dual intention – not just to create a unique image, but to ensure as far as humanly possible that it remained unique. I’ll spare you my views, published at length elsewhere, re a possible Templar connection, or Barbara Frales’s evidence that the Templars had some kind of fixation with a life-size image of a bearded man on linen, used in secret initiation rites. But let’s not get bogged down in contentious detail. The crucial issue is the appearance of the TS suddenly, out-of-the-blue with instant celebrity status. It is the question of its early 14th century history (or rather lack thereof) that needs addressing first, before asking why there’s only one TS. Who’s to say there weren’t a number of prototypes in Lirey or elsewhere, quickly disposed of once the imprinting technology had been perfected? The real problem in answering John’s challenge is the enormously high attrition rates of church cloths, whether linen, silk, or wool. They suffered from damp, fire and destruction( Reformation, French Revolution,etc). Colin’s point about prototypes is valid. The Antikythera Mechanism is a good example. It is totally unique and very sophisticated and scholars agree that there must have been lost prototypes, a long process of trial and error with gears, etc , to arrive at something so advanced for its day. Whether this is relevant for the Shroud I do not know. P..S. For instance, we know from church inventories that many churches had cloths with images of Christ Risen( obviously nothing to do with the Shroud) that they put out at Easter ( and folded away again until the next Easter). So far as I know not a single one survives. There’s potentially a bit of contradiction in that statement Colin. On the one hand you state that the lack of written record prior to the 1300s is a problem in terms of the case for authenticity. But then later you refer to the shroud’s secrecy. Surely the secrecy could help to explain the lack of earlier record? One needs to distinguish between (a) a lack of written record which extends over 13 centuries, and which some might consider stretches credulity somewhat where a1st century provenance is concerned, and (b) a lack of written record between (say) 1300 and 1357. The latter might explain the specific question being addressed i.e.why there is only one TS, since a forgery scenario might well be accompanied by tight security for a few years or decades within the confines of a family or some kind of clique or secret society. is to be found on this and I am working on it. The problem is that there are many interpretations which have led to controversy and one has to be careful in selecting what may be really presented as evidence. Whatever the results I will reach, one thing is sure: what you call the Templar “fixation” went beyond the linen. The crucifixion was also a part of the knights’ theology, the figure of Christ was paramount, so much so that when the Order was suppressed their “successors” in Portugal founded the Order of Christ. OK, but the Frale testimony was a minor part of my comment, and went no further than the reference to the Templars having possession of an image of a bearded man on linen used in initiation rites. I made no mention of Frale’s suggestion that the Templars had been owners of the TS, which frankly I consider somewhat improbable. In fact, even the suggestion that the artefact was on linen has been questioned by Ian Wilson in a highly unflattering missive, one that says Frale strayed far from the Latin inscription and that ‘lineum’ which she said was “linen” was probably a typo, and that the intended word was “wood”. Correct,but the interpretation of that word is also controversial and it is possible that Ian Wilson took the wrong decision based on someone else’s opinion. This part will also be tackled in my research. You beg the question. I had not limited my inquiry to representations of Christ. This image is unique, It’s existence is quite fragile because of the fact that it is among other things it is simply a discoloration of a either the outer cell wall of a fibrile or according to Rogers may be the discoloration not of the linen fibriles but of a containment left over from the retting process. Rogers had an advantage because he had access to actual fibers from the linen. He was a chemist with impeccable credentials. Ultimately in his book he conceded he did not have the answer as to the actual formation process. I have a sincere hope that advances in mutilspectral digital analysis may provide some more definitive answers as to the nature of image and its relationship to the Shroud, The Vatican will have to get off the dime on this. That’s a challenge Pope Francis faces. I will also venture into Charles area of expertise with an amateurish proposition: If there is a convention it must have started somewhere. There had to be an original object that caught artist’ attention had then was adopted by them. The Shroud was, as far as we know, not created by an artist. Yet, there were clearly paintings of a images on large pieces of cloth that appeared in Medieval times which mimic the Shroud. Without getting into a debate about this because I must get Chapter 18 written,and the manuscript concluded there are more than three authors who have written extensively about the uniqueness of the Shroud image: Paul Vignon, Ian Wilson and Thomas deWesselow. The various representations of the Shroud which incorporate unique aspects of the image of the Shroud were clearly paintings and drawings. Many of them disappeared in the bonfires of the French Revolution. The Shroud didn’t and the fact it didn’t is a first blush a stroke of good luck. I am not a fan of those who believe that everything in life is “God’s will” or divine providence. I remember from my High School religious instruction the following: If you build a house on a flood plain and a flood comes and sweeps it away, that’s not divine providence, it’s human stupidity. The proposition to mull over is the same as I learned more than 50 years ago: the Sixth Extinction is not divine providence it’s human selfishness. The survival of the Shroud to this time and place and the reintroduction of Christ into the discourse through the science of the Shroud may not be blind luck but Divine Providence. Without the advances the Science, the Shroud would be what Calvin and others claimed it to be: an evil superstition promulgated by an evil Vatican. But science is telling us, it is not that at all. John, Are we looking for an image that is discolored, as you suggest that the Shroud is ,or one with colours instance, presumably because it has been better stored? The high attrition rate of medieval cloths is a real problem. We do know from inventories of many hundreds of cloths, some just for Lenten coverings up of statues and rich altars, others, mainly of saints, hanging all the year round. We may find more help from medieval documents but these are mostly still in Latin and my medieval Latin is not that good. I haven’t found a double image of the buried Christ mentioned anywhere yet. Question for you all….what written records / accounts of the shroud exist between 1400 and 1800? If any exist how do they describe the shroud? Here’s one I mentioned here recently, a letter from Frances de Sales to his mother in 1614, that makes it abundantly clear that he regarded the TS primarily as a sweat imprint (with blood). “Whilst waiting to see you, my very dear Mother, my soul greets yours with a thousand greetings. May God fill your whole soul with the life and death of His Son Our Lord! At about this time, a year ago, I was in Turin, and, while pointing out the Holy Shroud among such a great crowd of people, a few drops of sweat fell from my face on to this Holy Shroud itself. Whereupon, our heart made this wish: May it please You, Saviour of my life, to mingle my unworthy sweat with Yours, and let my blood, my life, my affections merge with the merits of Your sacred sweat ! My very dear Mother, the Prince Cardinal was somewhat annoyed that my sweat dripped onto the Holy Shroud of my Saviour; but it came to my heart to tell him that Our Lord was not so delicate, and that He only shed His sweat and His blood for them to be mingled with ours, in order to give us the price of eternal life. And so, may our sighs be joined with His, so that they may ascend in an odour of sweetness before the Eternal Father. Now while I hesitate to mention it (for the 27th time) sweat, or rather a contact-imprint of what ancient degraded sweat might look like, i.e. a yellowish-brown discoloration corresponding with just the highest contours of the face and body to leave what we now call a negative image, is NOT too difficult to simulate (I hesitate to say forge). Any scepticism on the part of the first cohort of foot-sore pilgrims exiting the hastily-constructed Lirey church could have been countered with mention of the fabled Veil of Veronica, a smaller-scale “sweat imprint”. As I said before, I believe the Shroud was an attempt to trump aka leapfrog the crowd-pulling power of a precursor “sweat imprint”, cleverly exploiting precedent to build instant credibility (the double image doing the rest). There’s one caveat – namely that the technology developed to produce the first(?) full body representation of the Man on the LS had to be kept a well-guarded secret if the narrative was to get established in the popular imagination, not just of pilgrims, but the wider world. That’s where the Lirey badge played a key role in spreading the message before the arrival of social media sites. The addition of that small representation of what is almost certainly the Veil of Veronica, above the word SUAIRE (see Machy Mould) has to be seen as a marketing master stroke…. There are quite a lot of examples of both texts and illustrations in John Beldon Scott’s Architecture for the Shroud. Start here. i continue to be amazed that some Shroud researchers don’t seem to have a copy of this, the fullest account of the Shroud’s history since the Savoys acquired it. If it were on everybody’s desk, we would simply be able to say ‘see the illustration on Beldon Scott, page 212 or whatever’ and communications would be so much easier! OK, but it’s a separate issue from the one I personally find fascinating, namely how something billed as THE genuine burial Shroud could suddenly appear in a tiny French village, in a recently built church (reportedly a modest wooden structure to start with), be given such an introductory fanfare (think Lirey pilgrims’ badge), yet there’s not a single written word about its history in the immediate years leading up to 1357. That speaks, does it not, of what some might think a military-style operation, conducted under tight security, and it comes as no surprise to learn that the Lord of Lirey was a highly regarded warrior-knight. Even without the claims for Templar antecedents, one gets a sense of a carefully planned and executed coup or ‘fait accompli’, n’est-ce-pas? Why is there only one TS? Perhaps it was planned that way, with military precision. I’m presently reading John Long, discovered this morning through googling, though featured I see on this site in September last year with some caveats about his biblical literalism. Never mind, as daveb said at the time, one must always find time to sort wheat from chaff, or words to that effect. There’s some fascinating detail in Long’s account of the Lirey period, including a reference to a “holy towel”, apparently in a frame and trellis with the inevitable references to Edessa. There’s also a brief mention of the Lirey badge, but nothing about the trellis pattern on the reverse side. Yes, trellis, the one I thought was a barbecue for the slow-roasting of Templars, or latterly even St.Lawrence of Rome. OK, so two or three pieces of a historical jigsaw may not be much to play with, but as I say, where’s the rest of the 1300-1357 jigsaw for heaven’s sake? Certainly not in a handy box with a mystique-dispelling picture on the front. Who’s got them, the missing pieces that is, or hid them away, or deliberately destroyed them, and more to the point, WHY? Not necessarily damning because the owners of the shroud, assuming authenticity, knew they could use the display of this authentuc relic to help pay for the church’s construction. A more cynical theory would be that the shroud was created by an artisan specifically to deceive gullible pilgrims and help fund the church. It’s not the public display I question, even if it had peddled take-home souvenirs imprinted with “My Mum and Dad went missing for three whole weeks to see the Lirey Shroud, and all I got was this lousy smock”. Colin’s assertion of a lack of a written record for the 13 centuries before 1357 cannot pass without challenge. It has to be agreed that it is problematic, and frequently not as specific as we would like it to be in the 21st century. But then there are reasons for this: The early Christians followed the OT prohibitions on images; frequent persecutions created reasons for secrecy, so there are only veiled references to such secrets in obscure and analogic (coded) format. The cult of icons developed in the 6th & 7th centuries and were followed by periods of iconoclasm: Icon worshippers were persecuted 726 – 786 and 814 – 842. Icon veneration was only restored in 843. The Byzantine practice of religion tended to protect the most sacred of relics from the common gaze. Following the fall of Constantinople in 1204, when the Crusaders set about their pillage of relics, papal threats of excommunication of those found to be in possession of them would discourage disclosure. Scavone has also addressed the problem of the period 1204 – 1355: “BESANÇON AND OTHER HYPOTHESES FOR THE MISSING YEARS: THE SHROUD FROM 1200 TO 1400”; http://ohioshroudconference.com/papers.htm This paper does not favour the Templar theory, although from Louis’ comments, there would seem to be more to come to light on this aspect. Other writers have also attempted to address the whereabouts of the Shroud during the first 500 years of Christianity, such as Jack Markwardt. The material they have to work with is often obscure for the reasons given above, but might be considered if not persuasive, then at least highly suggestive. Given the circumstances of history, that is probably the best that can be done for the present, until such time as more enlightening information might come to light. But it is not the desert implied by the comments: “(a) a lack of written record which extends over 13 centuries, and which some might consider stretches credulity somewhat where a1st century provenance is concerned, and (b) a lack of written record between (say) 1300 and 1357.” Read Scavone and make of it what you will. OK, I was being economical with words, having to fend off the attempt to return the debate to its usual set of tracks, namely attempts to reconstruct the Shroud’s alleged history right back to the1st century. I repeat: it’s the curious absence of recorded history within the relatively small time frame between 1300 (chosen as a nice round number) and 1357 (first definitive reference in the Shroud’s written history) that needs to be flagged up when challenged to explain why there’s only one TS. It’s a lot easier to guard a secret for a half century (possibly much less) than for 1300 years, especially one that can be kept within the family (de Charny/Vergy) and maybe a small circle of friends. There’s another factor that needs to be considered when responding to the challenge “Why no other Shroud-like images”? It’s not like tracing the evolution of Western art, where artist A hits on a better way of depicting difficult textures, say lace, or silk or fur- trimmed garments, and artists B and C then feel a need first to catch up, and then to try and excel. In that situation the backing material is canvas, keeping the race to perfection strictly within the confines of art. So any attempt to replicate the TS image ran the real risk of being viewed not as artistic competition, but as an attempt to replace one “genuine relic” with an “even more genuine” one. The newcomer’s unwelcome efforts could or would have been viewed as sacrilegious, which would not have been a smart move in a relic-obsessed era of medieval history. The TS image was intended to be seen as the last word (OK, image) on the subject. It achieved its objectives with 100% success, thanks to the (near-guaranteed) lack of competition. There is not lack of written record between 1300 and 1357; just a lack of CLEARLY written ones in still a period of clandestiny (in 1206, Byzantine Emperor, Isaac II had the most holy relic claimed to Pope Innocent III as his stolen property). The Latin-language minutes of trials against the Knights Templar re the alleged ‘idol’ they venerated (E.G. it was reported to be a bearded head in figuram baffometti or “in semblance of “una Bocca della Verità”, with ‘four legs’, two at the front and two at the back) shall be read in light of the TS. Just guess which relic can look like a ‘Bocca della Verità’ head with four legs, two at the front and two at the back? Correction: Just guess which most holy relic can look like “the embalmed skin of an old man” whose bearded “head in semblance of Bocca della Verità” “had four feet, two at the front and two at the back”. the alleged ‘idol’ skin looked like the skin of an old man, as if embalmed and polished with paste, with a beard and eyes looking hollowed). The TS body image eroded fibrils do reflect light like polished paste…. Charles roughly how many written references between 1400-1800? Colin does not that reference to the sweat of Christ on the Shroud lend some basis to the theory that much earlier references to a sweaty mandylion image were referring to the shroud? …does not that reference to the sweat of Christ on the Shroud lend some basis to the theory that much earlier references to a sweaty mandylion image were referring to the shroud? It might, Thomas, but that would be to lose sight of the distinction between the ‘original’ alleged relic on linen, and the numerous representations of it on canvas that took progressively greater liberties with reality, causing confusion in the collective medieval mind. But what has all this to do with the TS, I hear you say, which is a negative imprint, not a proper portrait? Yes, but it’s scarcely conceivable that it was a real sweat imprint. It has sufficient detail to make one suspect that someone set out to create an simulated sweat image that would look better than any real-life, non-miraculous sweat imprint, but not too good, too portrait-like, one that could then score both on credibility “(it’s a supernaturally-enhanced sweat imprint, stoopid”) AS WELL AS on what today we would call photogenic appeal. It’s almost certainly the other way round: progressively hyped-up versions in art of the ‘sweaty mandylion image’, ones that evolved over centuries, creating a skewed reference point in Western art, helped to ensure that the “newly discovered” Lirey Shroud seemed by contrast to be more conservative, more subtle, more understated, more instantly credible. Thus was skilfully engineered a pre-emptive strike that ensured there was only ONE genuine long-lost Shroud, and that no one in their right mind would dare challenge its authenticity, far less attempt to produce a superior “more genuine” version. Thomas,I would think hundreds after 1578 as it was so widely publicised by the Savoy dynasty. Pignon”s history of 1581 was the first full scale book on the Shroud and then,as they say, it went viral. There are also lots of descriptions of individual expositions and the rituals involved. Again Beldon Scott is full of these. I have just been through the bibliography of Beldon Scott and there are a 101 printed sources listed from before 1800. That is not counting the archival sources he lists and many of the later sources are scholarly studies which may also include archival material. Then there are 214 listed illustrations. As every one knows one of the problems with the Shroud is that it had no back story coming with it (compare the Oviedo sudarium that had an elaborate one that had it brought from Jerusalem with a box full of other relics from the Passion and Crucifixion, the box itself having been made by the apostles). The Savoys recognised this and Pignon’s History of the Shroud , 1581, links the de Charnys back to Cyprus and from there to Jerusalem. Beldon Scott discusses this route in detail pages 31-37. I have not as yet come across any modern Shroud researcher who seems to have been aware of this. 2. Is the Turin Shroud the crux literaria of the Constantinople Sindon? This is strong historical evidence indeed and tends to prove the presence of the most famous contact-and-blood relic of Christianity at Constantinople prior to 1204. In 1464, the same year that Duke Louis of Savoy made a settlement of 50 gold francs with the Lirey clergy for the loss of the Shroud, theologian Francesco della Rovere, soon to become Pope Sixtus IV wrote a book in which he mentions, “… the Shroud in which the body of Christ was wrapped when he was taken down from the cross. This is now preserved with great devotion by the Dukes of Savoy, and it is coloured with the blood of Christ.” (cited by Ian Wilson, 2010). This would seem to be an incidental mention compared to Pignon’s work. Clearly the bloodstains were present in 1464. Charles, Beldon Scott’s book sounds worth a read, but difficult to source I imagine. Thomas, More than worth a read as it has tons of material on the Shroud not available anywhere else and I find myself rereading it because there is much too much to take in at one go- over four hundred pages by a top-level scholar ( who makes no decision either way over authenticity). Go to abebooks- they have two used copies at just over £20 without postage on at the moment – and several more at more than this. I bought my copy from there for c. £20 and it has been wonderful value. Re 1300-1357 CE written records: A Templar named Sabatier did talk about a long piece of linen cloth he venerated. It does seem too the TS shroud was also referred to as sinna/signa fustana in old Provencal = sydoine de fusteine in old French and “fustian shroud” in English yet it was misunderstood and translated into Latin signum fusteum instead of signum fustanum. More about the link between the knights and the relic shortly. Commenters on this blog are going astray from the point. 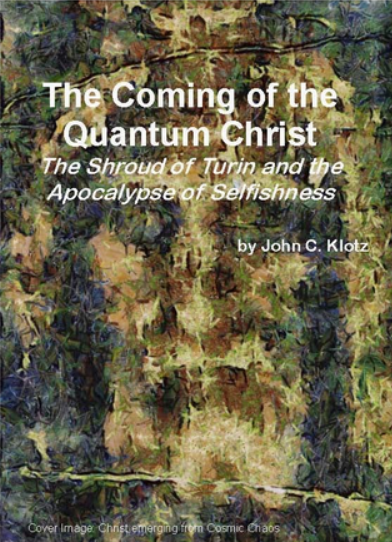 There is no known artistic image or produced by any other means, being it of Christ or any other historical or fictional person, with the characteristics pointed out by Dr. John klotz, neither there is any image on a cloth that wrapped a corpse with the mentioned properties. These are ESTABLISHED FACTS and that’s it. I’m not sure what John is getting at here. One of the enduring fascinations of the Shroud is its uniqueness. I can’t think of a parallel, before or after 1500, although I fear many of us are somewhat Eurocentric and there are I imagine innumerable far Eastern possibilities. But is the uniqueness of an object a necessary guide to its provenance? Is it evidence of a particular date, or of a miraculous origin? There are a number of unique artifacts in museums around the world – one thinks immediately of the antikythera – but the conclusion most people draw from them is that they are the last remaining specimens of their kind, or perhaps the only discovered specimens of their kind so far. I wouldn’t imagine for a moment that Hugh would be implying that there are countless shrouds hidden in Chinese tombs all with inexplicable images on them, or would he? Wiki has a site listing a few OOP (Out of Place) artifacts: http://en.wikipedia.org/wiki/Out-of-place_artifact and the antikythera is mentioned, apparently a mechanical computer 150-100 BCE. Many OOPs have been found to be hoaxes, or claimed to be more incredible than later investigations proved to be the case. They provide grist for weird claims of alien visitations. Factory mass production and assembly line is more of a modern invention, so many of these are perhaps just one-offs. L Sprague de Camp in “The Ancient Engineers” describes many amazing inventions by ancient Greek engineers, particularly those by one Heron of Alexandria, one such being a vessel for changing water into wine, as reported being done by his near contemporary at Cana in Galilee. Clearly Heron’s device created the illusion of such a conversion. Apart from the TS, the only cloths claiming to bear images associated with corpses I’m aware of include the Jospice mattress cover (sometimes discussed by Louis as highly questionable), and the Veil of Antinoe (Coptic, possibly Christian), now lost. Quite correct. But I’m touring endless Sikkimese Buddhist monasteries at the moment and they’re all packed with various relics of this or that, which set me thinking of the vast untapped treasure trove that is India, China and so on. I doubt if there’s a long thin two image shroud relic, but there may well be inexplicable images of one sort or another. I simply have no idea! Antikythera mechanism, apparently a hoax? No, simply look it up and you will see that it is genuine of its time and apparently a lone survivor of what must have once been several prototypes. Whenever anyone says that the Turin Shroud must be first century and genuine on the sole ground that it is unique and many aspects of it are apparently inexplicable, I just think of the mechanism! The difference is that the Greek authorities allow access to bone fide scholars and as a result more is known about the mechanism every year as technology and x-rays develop more sophisticated ways of examining it. Not possible for the Shroud at present. We will learn a great deal more about it if it is ever given over to a laboratory for a proper investigation . Image of a corpse on a cloth. Surely the Besancon Shroud although now lost, qualifies.The original was painted from life In Besancon in the 1560s and the painting is still there in the Municipal Library. Clearly not the Shroud,of course, just to compare the images and by this time the Shroud was ,of course, at Chambery. Charles, I believe you have misread me. The Wiki site I mentioned, does mention the antikythera as a real object and makes the point that it was a type of mechanical computer. The hoax aspect comes from various fringe groups who interpret the discovery of such devices in weird and preposterous ways. After mentioning Archimedes’ description of his orrery, a type of planetarium. Sprague de Camp devotes some two pages in describing the antikythera and its discovery in some detail, and yet my text was published way back in 1963. More would be known about it now. It was essentially an astronomical computer, enclosed in a wooden box about a foot high, the size of a table clock. De Camp describes its working and gear trains in some detail. Apparently the Egyptians did not have leap years in their calendar, and so there was provision for resetting the device when the months went out of synchronisation. Some repairs made to the machine would indicate that it did indeed work. It must have required some very complex gearing as it would be relying on the Ptolemaic model of astronomy, rather than the later simpler Copernican model. The ship containing the device sank about 65 BCE. De Camp writes: “Nothing more is heard about such devices for over a thousand years. Yet they must have been built, for about 1000 CE, al-Bhirini, an Iranian savant who traveled in India, described a similar machine”, and he makes some comparisons with the antikythera. I know of Scavone’s paper and it is highly speculative i.e. he produces no significant evidence that we are talking of the Turin Shroud and not some other image. A contact of mine got in touch with the Library at Besancon to see what they had and they e-mailed a seventeenth century image of the Besancon Shroud. He then asked about the painting of the Shroud by Pierra Dargent , apparently dating from 1560, and reproduced in a well-known book on painting on linen (D. Wolfthal’s The Beginnings of Netherlandish Canvas Painting, Cambridge UP, 1989) and at first no one knew of it but eventually they found it in the archives. Working from what is reproduced in Wolfthal’s book, it is clearly not a copy of the Shroud and it is usually listed separately in works on shrouds. It is documented up to 1790. If Dan Scavone has a free moment I suggest he goes to the Library at Besancon as it seems they have quite a lot of material on their shroud there – another area where more research needs to be done. It is annoying that we have lost the cathedral’s own archives from before 1349. Again you have this problem that this, like the de Clari image, is only a single image and the defining feature of the Shroud is that it is a double image. The search goes on. It would not be an exaggeration to say that the TS is unique until an exact copy is produced. Part II will be available shortly. Charles, de Clari’s description in no way precludes the object being the shroud. The shroud could easily have been displayed in a manner with only frontal image shown. Think of it draped over a pole and raised up by 2 clergy each holding an end of the pole. You are foundering. The ancient Greek mechanism, you describe is essentially a mechanical computer appears to be similar to what is still in existence from 1452 – the Bourges Cathedral astronomical clock. No one has yet to produce an image and you can not identify an image with the properties of the Shroud. Alger Hiss was convicted if perjury for denying that he had given secret documents to Whitaker Chambers a confessed Communist spy who eventually rejected Marxism. One of the pieces of evidence against Hiss is that exert testimony disclosed that documents had been retyped on a typewriter in Hiss’s possession. After conviction, Martin Tytell was hired on the appeal and he produced (after two years) a typewriter that could duplicate the same identifying typographical aspects that were supposedly unique to the Hiss typewriter. The conviction was not set aside. Just because you can forge or copy something, doesn’t ,mean that the object in question was forged. There are cases where art forgers have produced paintings so true to an original master style, that art experts have vouched for their authenticity in court under oath and been eventually proven wrong. To say that ancient Greeks devised an analog computer found in pieces and then reconstructed, proves absolutely nothing about the issue of the originality of image in a totally inexplicable medium. To say you are grasping at straws would be an understatement. Pseudo-skeptics who for deep personal reasons can not cope with the authenticity of the Shroud display their anxiety when they come up with supercilious reasoning. You are better than that. Charles, with all due respect, you tarnish yourself by your analogy. John. For the nth time, I am not a pseudo-sceptic- I am the real thing, but always open to evidence that could convince me otherwise. I am only making the point that historians live with things we cannot understand but if an ancient object of any kind is made freely available for accredited scholars to examine,we can make good progress. For the Shroud we only have 1978/88 testings, long past their sell-by date. We may, like the Antikythera Mechanism, still end up with things we don’t understand about it -in the Shroud’s case because of the enormous attrition rate of pre- 1500 images on cloth (if the inventories of medieval churches/monasteries and cathedrals are anything to go by). So I would join with anyone else who is prepared to let the Shroud go for examination in one of the top conservation labs dealing with ancient textiles. With due respect, and I mean that, your proposal is too limited. STURP was a multi-discipline examination. And you are right, the time is long past for additional tests. However, they must be as non-intrusive as possible and the Shroud cannot leave the custody of the Church. I will be writing in my final Chapter 18 about the application of multispectral digital photography to the Shroud as was done for the Mona Lisa and would deal with the composition on the quantum level..
What is needed is not a singular new experiment or examination. What must be done is multi-disciplinary and non-intrusive. The desire of the carbon labs to exclude multi-disciplines in their work eventually proved to be their undoing. Be careful what you wish for. No single approach except for mine :-) will suffice. STURP did not have enough disciplines. If you look at their report on the physics and chemistry they mention ‘large’ (their word) quantities of calcium carbonate found on the Shroud which they thought was accumulated dust. Anyone who deals with ancient linens would have spotted that this, from medieval times to this day, is an essential component of gesso, used to stiffen fabrics. The question is whether the calcium covered the whole cloth or only parts of it and what the purpose of applying gesso was- perhaps just as a preservative. But here was a trick that STURP missed as a result of their failure to bring in anyone who knew anything about ancient textiles and their treatment.